History is a very important factor which determines where we are heading to as a country. If we are not honest with history, we will fail in whatever we intend to do in the future. The Gambia has gone through a very difficult period during the last 22 years. One of the most important things we need to consider if we truly want to heal as a nation is to own our mistakes. It is for this reason that our political leaders, including those of PDOIS should own the mistake they committed in the early days of the 1994 military coup. Gambian intellectuals’ contributions to 22 years of military dictatorship cannot be emphasized. The PDOIS leadership never condemned the 1994 military coup. This was the first mistake they made. As an opposition party which claimed to stand for democracy and the rule of law, PDOIS should have forcefully condemned the Junta and even encouraged Gambians to protest against illegal overthrow of a democratically elected government. When militants of the PPP staged a peaceful protest near USA embassy to express their outrage about the overthrow of Jawara’s government, PDOIS never joined them. 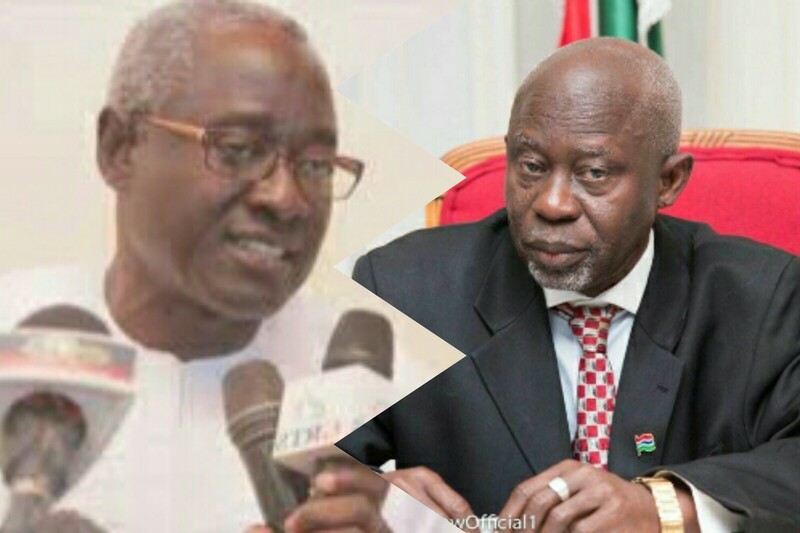 So what has PDOIS done to ensure that Jammeh and Junta members return to Barracks? They have done nothing. Instead they claimed that their letter of rejection of ministerial positions was meant to activate the basis for resistance if the Junta failed to follow their recommendations to open up political space for political parties and other stakeholders. This is the biggest hoax ever since PDOIS entered the Gambian politics. PDOIS was even selectively allowed to participate in our politics while PPP was banned. We must remember that Jammeh in fact was a student of PDOIS school of thought before he became a brutal dictator. He was actually a student of Sam Sarr at Gambia high school. So naturally, Jammeh has positive perspective toward the PDOIS than Lawyer Darboe who was his sworn enemy. In your rejoinder, you simply classified Lawyer Darboe as a coward who hid during the early days of the military coup while describing as a fearless lion-hearted hero. Thus your characterization is unfair. The misconception about PDOIS leadership protest against the ban of Foroyaa Newspaper which was an organ of PDOIS needs to be corrected for the sake of truth and historical record. The publication of Foroyaa Newspaper led to arrest of PDOIS leadership for violating Decree #4 which was designed to ban all political activities and politics related media affiliation. Decree #4 did not ban registered newspaper which has no political affiliation such as The Point Newspaper and The Daily Observer. These newspapers were in operation during the implementation of decree #4. Foroyaa’s affiliation with PDOIS was contrary to decree #4 which led to its leadership’s arrest, prosecution and conviction. They were fined and Foroyaa Newspaper later resumed publication as a registered independent non-political affiliate media organization even though the paper continued to be run by the PDOIS leadership. PDOIS leadership’s protest has nothing to do with defiance of political activities, rather it was about Foroyaa newspaper which served as a propaganda tool of the PDOIS and source of income for the leadership of the party. If PDOIS was actually interested in defying infamous Decree #4, they would have staged a political rally but leadership never attempted any political activities during the implementation of decree #4. Therefore, it is a misconception to state they have actually defied the theme of Decree #4. I commend PDOIS leadership’s role to stand up for their media business interest but I hold them accountable for their failure to defy the Junta through political activities or refusal to condemn the coup. The PDOIS leadership was convicted because of legal grounds which considered Foroyaa as a non-independent registered media organization because it operated as an organ of a political party. This is the verdict of historical evidence which is legally binding and can be found in court records. I challenge anyone to come up with evidence to deny the conviction of the PDOIS leadership on this legal ground. Max, the sad thing is that PDOIS recruits and even the top echelon thinks that the whole Gambia is stupid except for themselves. PDOIS was definitely complicit in the aftermath of the coup in the early 90’s. We all are living witnesses to the political space accorded them while the UDP was vilified, maimed, tortured and disappeared without any of them coming to the aid of their colleagues against the junta. Which planet does this guy ”Mulie” come from? Certainly not from the planet Earth; hear what he is saying. Was UDP in existent in the aftermath of the coup in the early 90’s to even require PDOIS to come to its aid against the Junta?